Go to their website for all the details. 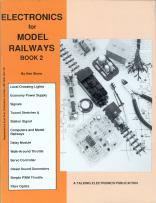 I believe that there is a need for a book that tries to encompass the broad electronic facets of our hobby. It is intended to help new MERG members and those who might be drawn to our activities. There is not a lot of material out there, mainly old texts or books that solely cover DCC. I think that the contents will be widely welcomed. I have trialled the book to selected MERG members covering a range of knowledge and experience, with favourable feedback. 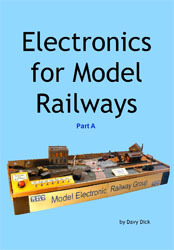 The book is intended as a service to the model railway community. It is not a commercial product. It is strictly a non-profit production. It must not be used for monetary gain. It is free to distribute and read. There will be no changes to book contents or its use without permission of the author. All rights reserved under the Attribution-Non-Commercial-NoDerivatives Licence. This book may be freely copied and distributed but may not be changed or added to without prior written permission of the author. 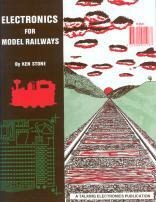 This book is free and its material may not be used for commercial purposes. This book is issued as, without any warranty of any kind, either express or implied, respecting the contents of this book, including but not limited to implied warranties for the book's quality, performance, or fitness for any particular purpose. Neither the author or distributors shall be liable to the reader or any person or entity with respect to any liability, loss or damage caused or alleged to be caused directly or indirectly by this book. All trade names and product names are the property of their owners. P 168 The BC 557 should be BC547 - a base resistor may be needed. P 135 Only one 1k resistor should be used and this will prevent reverse voltage on the LEDs.